UKmail dit not want to leave the parcel in the porch, so I had to go to the depot. Battery arrived properly packed. We gave the egg boxes to a local egg seller. When filling, I noticed there was not enough acid. The parcel came with one liter, but it needed 1.2 liter. Luckely I could arrange acid to be made up in the factory laboratory. 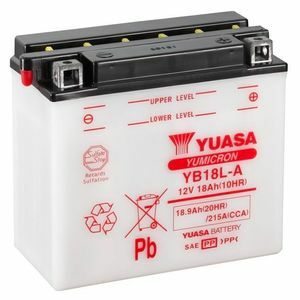 I ordered a battery for high performance vehicles, because the dimensions were good and use it in a sit-on lawn mower. I wonder if there is a difference. Battery is working well, so no complaints about this. Fitted To: lawn flite sit on 120/40 200 cc? 199?